For those who wanted to get an early start on the college aid process, the FAFSA form was available in October for the first time, three months earlier than in the past. The FAFSA form is an indispensable tool for figuring out what an individual's real cost is going to be at a particular college or university. Paula Craw, director of outreach and financial literacy for ECMC, says there are five things students and parents need to know and understand about the aid process. The early bird not only gets the worm, it may also get a better aid deal. 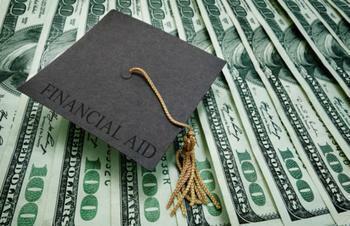 Financial aid is handed out on a first-come, first-served basis. Because the FAFSA process began earlier this year, the money may be depleted sooner. The sooner you can file your form, the better. College registrars and admissions officers have gone on record saying the FAFSA changes could spur them to be more competitive with financial aid packages. There are good reasons for them to do this, but one consequence may be that colleges are more likely to “frontload” scholarships. There may be a lot more aid in the freshman year than the sophomore year. That needs to be taken into account. Also, make sure you understand the exact terms of the offer. The U.S. Department of Education has asked that colleges not change their financial aid deadlines to reflect the FAFSA changes, but some schools may still feel pressured to do so. Make sure you know all the deadlines and plan accordingly. The earlier start to the FAFSA process will give students more time to survey their options. One way to make use of this time is by exploring Pell Grants and other aid that you may be eligible for. Also, cost comparison tools like College Abacus and Pell Abacus can help you identify the colleges offering the best value for your unique financial situation. Figure out your total costs for a particular school before you apply. Remember that there are fees to submit an application to a school. If you can prioritize potential choices based on the available aid, you can eliminate application fees to schools that are not a good financial fit. Is there any way to make college cheaper?